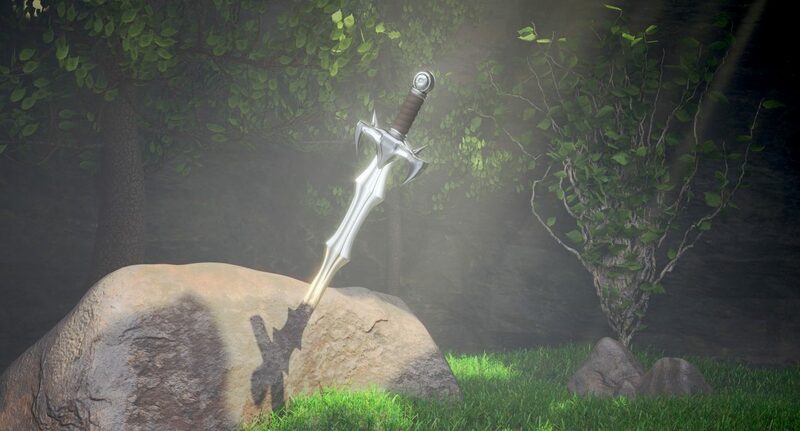 What would happen if an ordinary kid lifted the sword from the stone? So asks Joe Cornish, writer and director of The Kid Who Would Be King, the result is a film that is fun, big-hearted, and intelligent. When 12-year-old Alex (Louis George Serkis) finds Excalibur, the legendary sword in the stone, in the middle of a building site in London, he finds himself tasked by the wizard Merlin with defeating the evil Morgana who has awoken to reclaim the sword. To do this he must find himself a gang of worthy knights to fight alongside him, learn how to wield Excalibur, find out the truth about his origins and defeat Morgana’s cronies along the way. Sound familiar? Probably. But don’t worry because this isn’t just a rehash of Arthurian legend, but a much more intelligent modern take that keeps the heart of the original whilst updating it in entertaining ways. The familiar images still exist; Alex and his ‘knights’ journey across the moors and are chased through forests by fiery skeletons on horseback but their final preparations for the climactic battle with Morgana are more reminiscent of Kevin McCallister’s antics in Home Alone than anything out of Arthurian legend. The film is rife with such pop culture allusions, referring by name to Star Wars and The Lord of the Rings and it is this mixing of pop culture and Arthurian legend that makes this such a refreshing take. It is not just a modern reenactment of the same old legend but rather a reinvention. Despite the fast-paced action this is essentially a character-driven story centred around Alex and his relationships with his knights of the Round Table: his nerdy best friend Bedders and two of the school bullies. This emphasis on character often leads to the action feeling rushed, with several set action pieces seem to be resolved all too quickly (and easily), but ultimately this doesn’t really matter. What matters is the construction of Alex and his school friends as heroes. The film accomplishes this very successfully, largely due to the four performances of the child actors and the friendships they forge throughout the film. The emphasis on this central four is key as a recurrent theme throughout is the hope of a new generation. Here we loop back to the mixing of Arthurian legend and pop culture of the past forty years. This is the creation of a new type of hero, for a new time, with its own new set of challenges. There are some instances of political allegory and contemporary references to Brexit (the world is divided and leaderless) which can at times push this message a little too far. The film is significantly better when it lets the themes of hope and the future these youthful characters represent speak for itself. But ultimately The Kid Who Would Be King is still a warm-hearted, hopeful film that reminds us that myths, magic and heroes still exist.